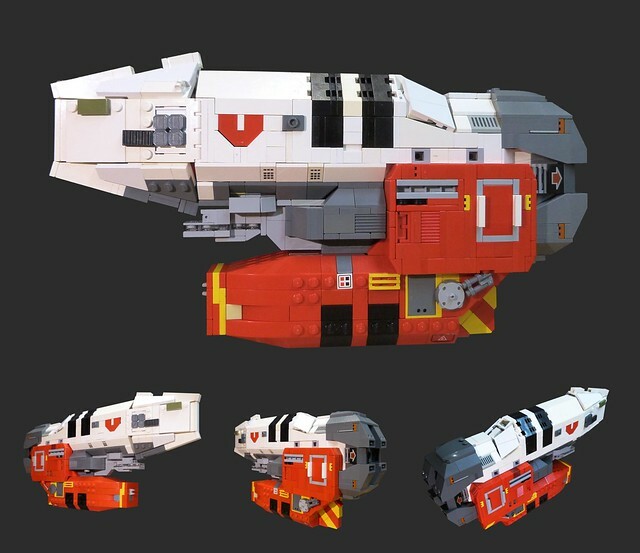 The Devil’s in the Detail | Spaceship! Spaceship! Spaceship! I know that there is a thing called Homeworld and that it’s some sort of computer game, but that’s ALL I know about it. However, Damien Labrousse has built this amazing Vaygr Minelayer which I know for sure is twelve types of awesome with an extra helping of awesome sauce. I love the way he’s cleverly used pieces to get detail into every corner of the model, without breaking the strong form of the original design. This entry was tagged Homeworld, MOC. Bookmark the permalink.